The Edmonton Oilers are proud to be the first NHL team to use pride tape, a rainbow-coloured, professional hockey tape that promotes support for LGBTQ players. 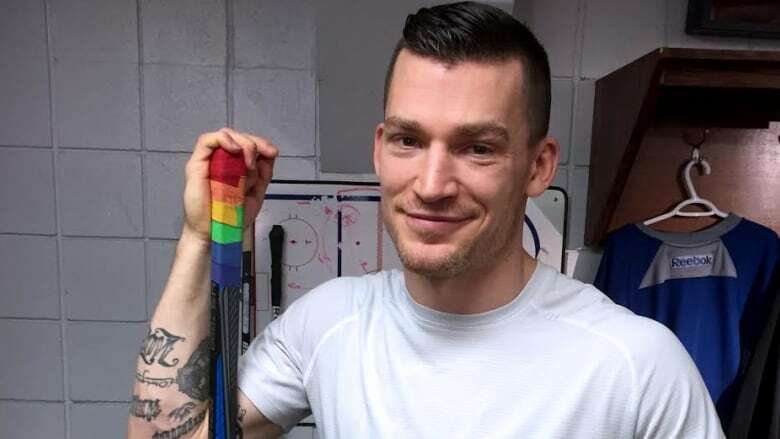 The Edmonton Oilers will be the first NHL team to use pride tape, a rainbow-coloured, professional hockey tape that promotes support for LGBTQ players. Dr. Kristopher Wells, director of the Institute for Sexual Minority Studies and Services at the University of Alberta, and Calder Bateman Communications came up with the concept for pride tape. "We are thrilled to be partnering with the Oilers and officially launching Pride Tape in Edmonton, a city that believes in diversity and human rights, and a city that proudly supports our LGBTQ community," Wells said in an Oilers news release Friday. "It's a local initiative with national reach, and we're very excited to have the Oilers be the first to support this inclusive message on the ice." The tape will make its debut Sunday at Rexall Place during the team's sold-out skills competition, the annual fan-friendly event featuring players in competitions of speed, skill and accuracy. To coincide with the skills competition, the Edmonton Oilers Community Foundation is making a donation to become a founding partner of Pride Tape and to help the initiative get rolling. Wells and Calder Bateman Communications are working together to kick-start a campaign to raise the funds needed to produce the first 10,000 rolls of tape. So far, they have raised over $40,000 of their $54,000 campaign goal. Pride tape proceeds will support LGBTQ programs such as You Can Play. Once manufactured, pride tape will be distributed for free to local minor hockey teams across Canada and beyond, with tape also available for sale to the public. 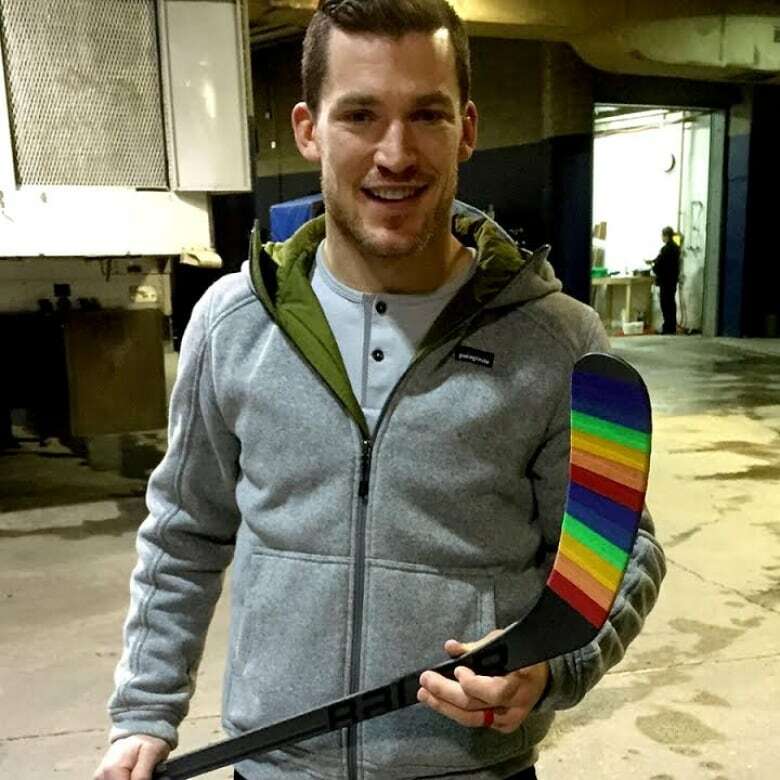 Oilers defenceman Andrew Ference, a keen advocate of the LGBTQ community, helped launch the Pride Tape campaign in December. "Many view professional hockey players as role models, and our team felt this was a great initiative to let every person know they're welcome in the game of hockey," Ference said.